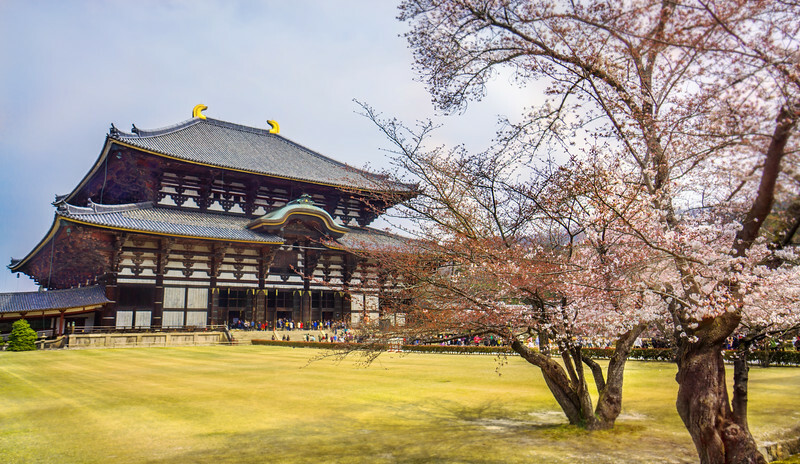 Somehow it seemed Nara has a few really outstanding temples, shrines and ruins is usually packed with tourists and deers. Usually you get along just fine. Todai-ji Temple is one brilliant example, just next to a nice cherry tree.